Hey Disney, don't sue me. Originally drafted on April 16, 2011. This is part of a new series where I clean out my Drafts folder. There’s an old proverb that says “the faintest ink is more powerful than the strongest memory.” At least I think that’s how it goes. I should probably write it down. 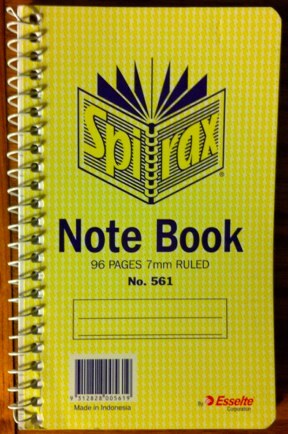 I finally went out and bought one of these little spiral notepads when I was living in Australia. The fact that I was keeping great company was a mere bonus on top of never forgetting anything. They were the perfect dimension for riding in your back pocket, but the spiral inevitably destroyed itself. I blamed it on the lax Indonesian construction standards, but it probably had something to do with all the falling down that mysteriously coincided with my discovery of beer. 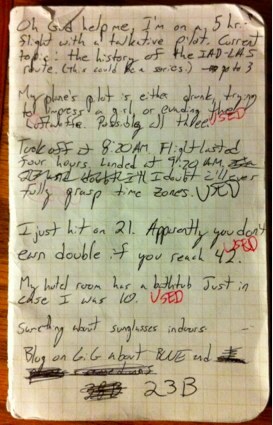 After some searching, I was able to find Field Notes. And yeah, that’s clearly a stock image. There’s no way my handwriting is that fancy. This was a vastly superior option. I liked the grid layout and the pad itself held together with an unusually strong spine. However, the reason I had to use a stock image above was because every freaking pad I bought ended up looking like this. I don’t know why in the world the cover is so flimsy, but it is. It came off on every pad I owned within weeks. It didn’t really bother me at first, but eventually the ink on exposed pages began to fade and blur, so once again I was in the market for a new pad. 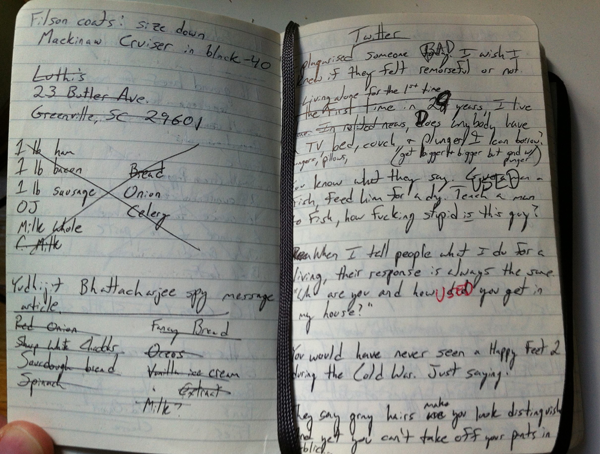 Enter Moleskine. 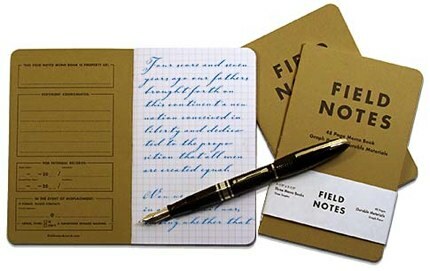 I’d used their larger notepads for journals, sketch & joke ideas, etc. But it was only recently that I tried out their softcover pocket pad. 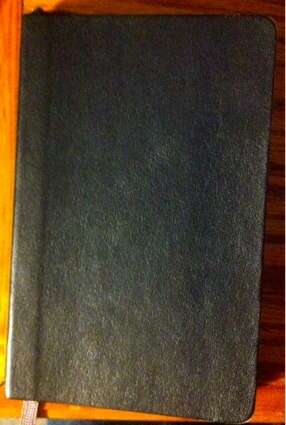 Tough as nail spine, lined pages, bookmark string, back pocket for scrap paper, and elastic band to keep it closed. You can’t beat it. Oh, and don’t bother with any other pen than Uni-ball’s Jetstream. They’re like writing with magical Unicorn blood.